Not sure where I got the badge. It’s used, and chances are that I didn’t buy it new. I did work at a dealer back in the mid- to late-80s that sold VW, Honda, Lincoln, Mercury, and of course, Isuzu. I probably pulled it off of a wreck in the back lot. 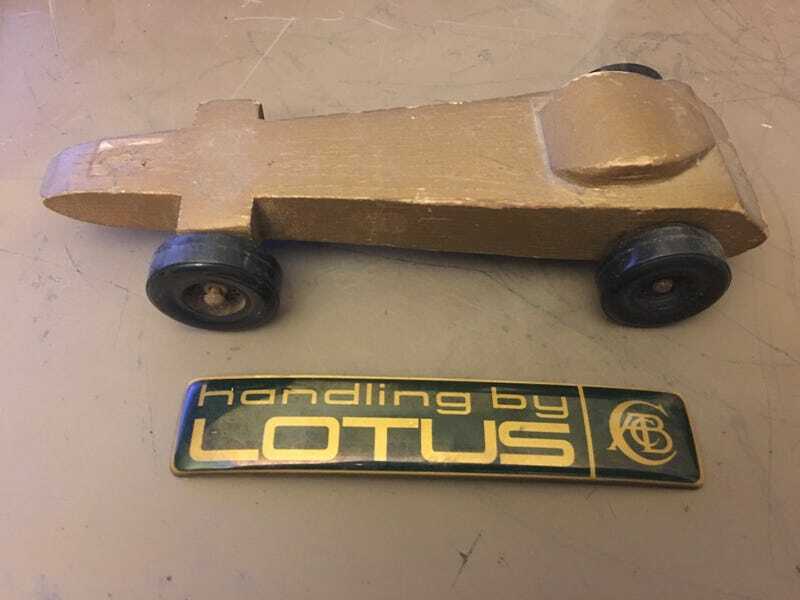 The Pinewood Derby car was the one I used in 1977 to win the championship as well as beating the winners from the previous three years; I probably still have the trophy. Most of the carving was done by a mechanic at Western Airlines, one of my friend’s dad. My dad passed away a couple of years earlier so I got a little help on building the car. I drew something and he cut it out at his job, but I don’t remember my drawing looking like this. The trick to winning? It may be commonplace now, but 40+ years ago graphite lubricant was something unheard of and my secret to success.